This is one of our favorites for quick and easy “company’s coming” appetizers or for those lazy weekend movie snacks! You can do some of the prep ahead of time! 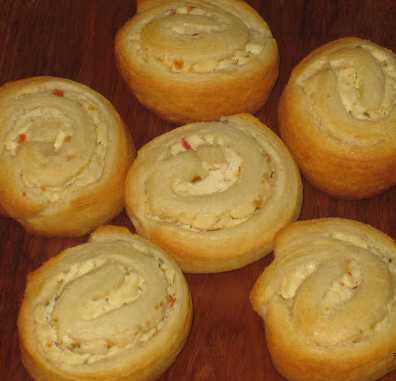 Unroll crescent rolls, spread flat into two rectangles and press the seams together. Lightly beat cream cheese until smooth. 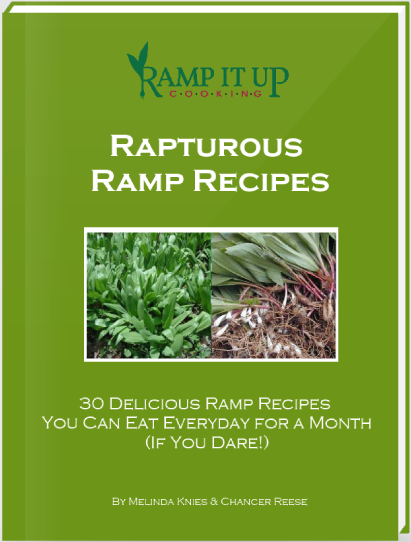 Add the Ramp Dip Mix and mix well. Spread mixture onto crescent rectangles. Roll up jelly roll style. Wrap tightly in waxed paper. Chill until firm. Slice thinly. Bake at 350 degree for 10-15 minutes or until brown. Serve warm. Now we admit cream cheese pinwheels are not all that unusual since pin wheels are propably one of the most popular appetizers in America. But we pleasantly surprised to find a wonderful recipe using vegetable flavored cream cheese instead of just plain over at WalkingOnSunshineRecipes.com. Needless to said, we think the veggie spread and the Ramp Dip Mix go good together.